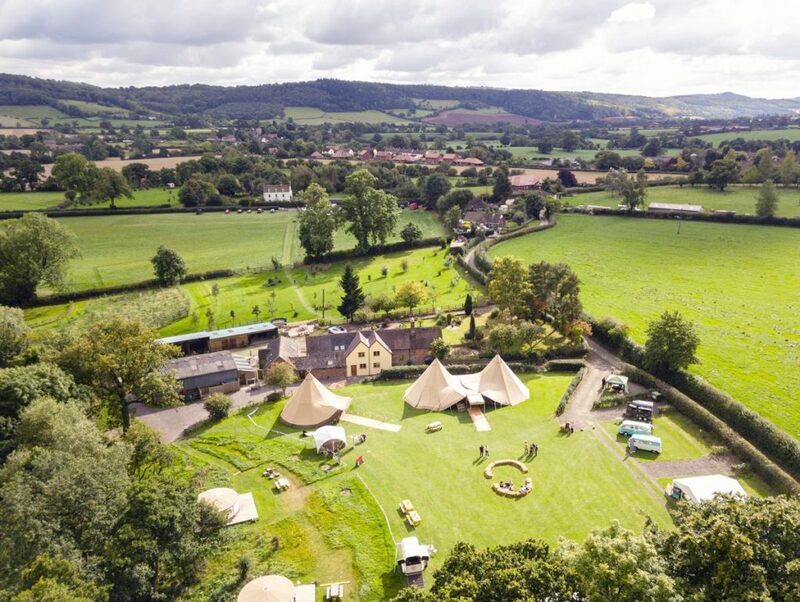 The Haybarn is a stunning and unique Family owned rural wedding venue at Brook House Farm in the heart of the Shropshire Hills. Offering exclusive barn or bespoke outdoor festival weddings with accommodation allowing you to be as creative as you like. Our grounds and gardens extend to over 10 acres, and are bordered by a brook with mature trees including several centennial Oak & Ash trees. 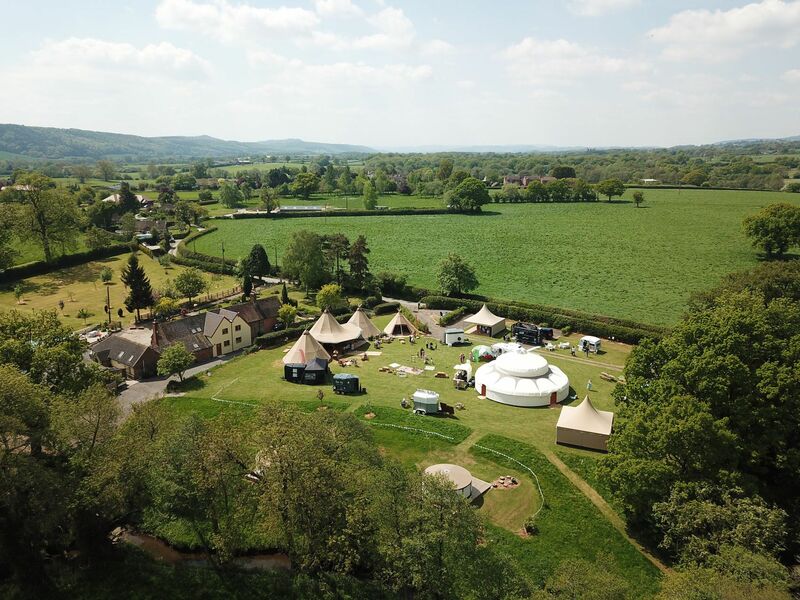 The Festival wedding field is two acres and is flat, making it ideal for erecting a tipi, or marquee of your choice providing ample space to design, theme and layout your outdoor festival wedding the way you want it. The wedding barn which will be available to view from mid 2019, will be a rustic timber barn next to the wedding field offering with beautiful views. Your guests will left with unforgettable memories for years to come. 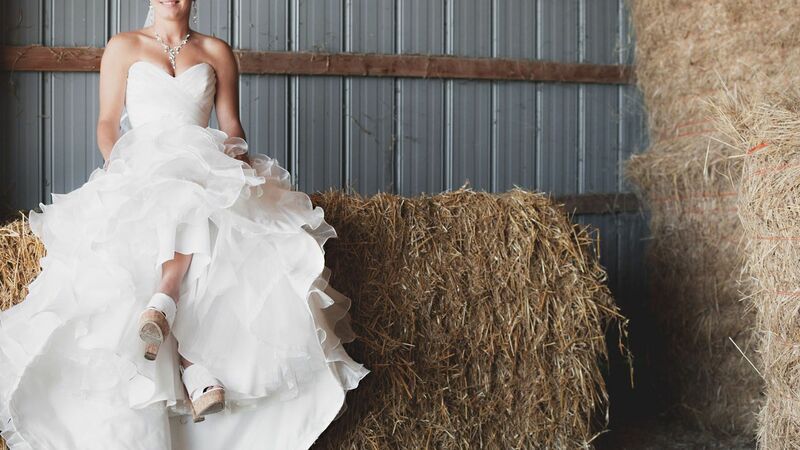 We will be able to host your barn wedding for late 2019 onwards. At the Haybarn we we do bespoke weddings or special events, by allowing you to be as creative as you wish. Every aspect of your wedding can be customised. You have complete control over your choice of caterer, food, music, entertainment, décor. You commission the suppliers yourselves for a D.I.Y wedding. You have our complete attention from the moment you enquire. Once you have visited us, and booked we are at hand to help and advise you with various ideas and options to help you customise your wedding and will have up to three more meetings on site before your big. 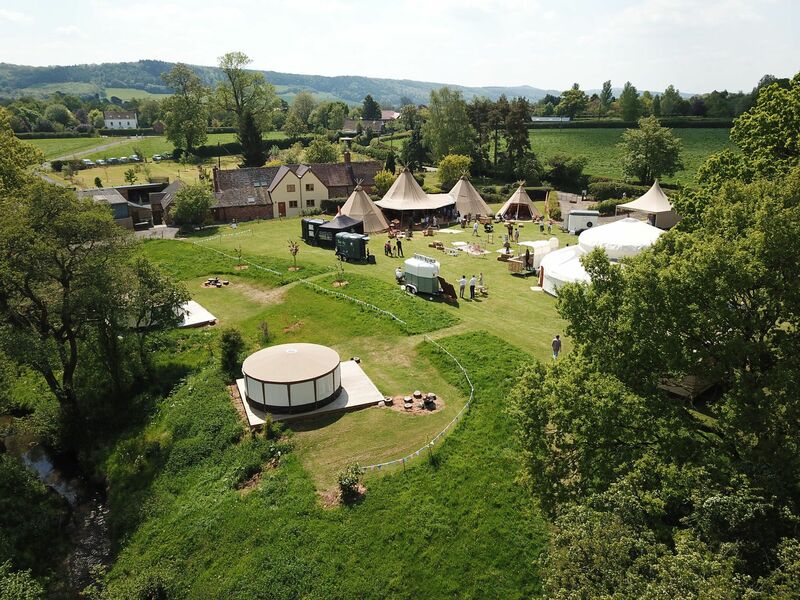 If you book us for an outdoor festival wedding, we have excellent contacts for Tipis, Marquees, Stretch tents, and Giant Yurts, and can put you in touch with suppliers. You can book and hire the wedding barn or wedding field, or both if you wish to have a second entertainment area, for catering, party etc.. We also have a number of interesting props for you to use or hire. If you prefer for someone to organise everything for you, we can put you in touch with a professional wedding planner who will take care of all the logistics, and organising for you. An outdoor festival wedding in a field is very special indeed. It is a very memorable type of wedding, with a very slow paced, relaxed informal feel. It all starts with a blank canvas for you to customise your wedding exactly how you want it. 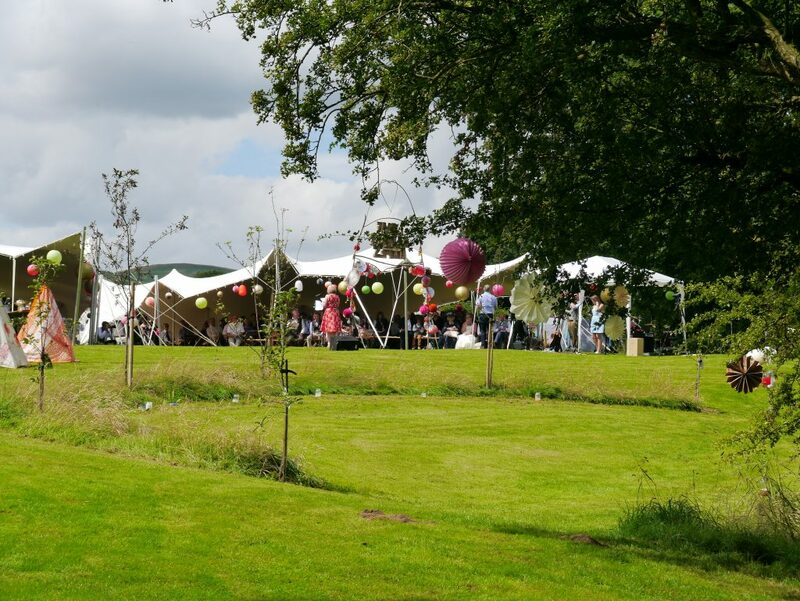 Our outdoor wedding venue gives you just this, a beautiful field for you to let your ideas flow whether you decide to host an outdoor festival wedding with a marquee, or a tipi, stretch tent, and theme your wedding just how you want. You can be as wild as you like. 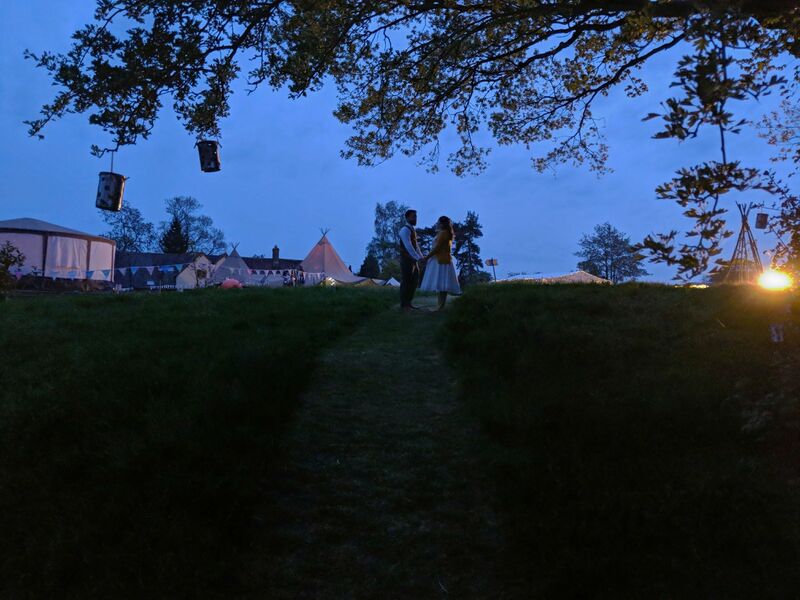 Our wedding field is adjacent to a camping area so that if you wish, your friends and family can also enjoy the week end long festival wedding experience and camp outdoors over 2 or 3 nights! 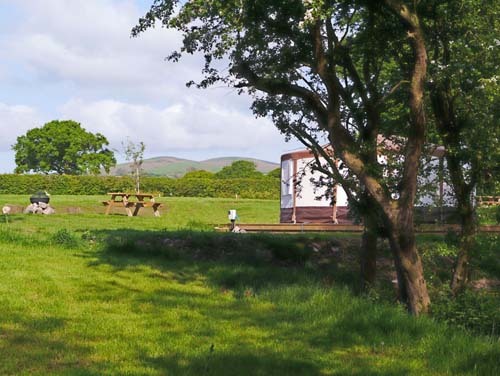 With glamping accommodation on site too, we have something for everyone. For some inspiration you could have giant Yurts, bands, Chillout areas, straw bales seating areas, lawn games, etc.. You can use several structures if you need to. The possibilities are endless. A customised outdoor wedding gives you so much more flexibility, possibilities and time compared to the decorated function rooms hotels and stately homes tend to provide, which tend to often be impersonal and very formatted. We very much encourage and offer a much more relaxed and informal type of wedding. As you customise everything, you can of course be more formal in your set up if you like. 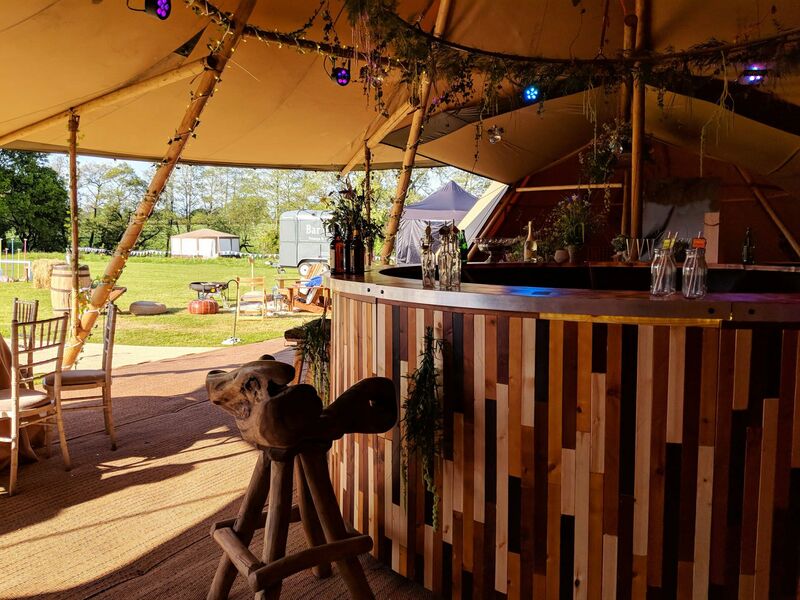 At The Haybarn your wedding gets a bit more exciting with fantastic Camping and Glamping accommodation options for your guests. What a better way to enjoy your festival wedding, whether you opt of an outdoor wedding with a structure or go for our rustic wedding barn. All facilities such as drinking water, electrics, and showers are provided.